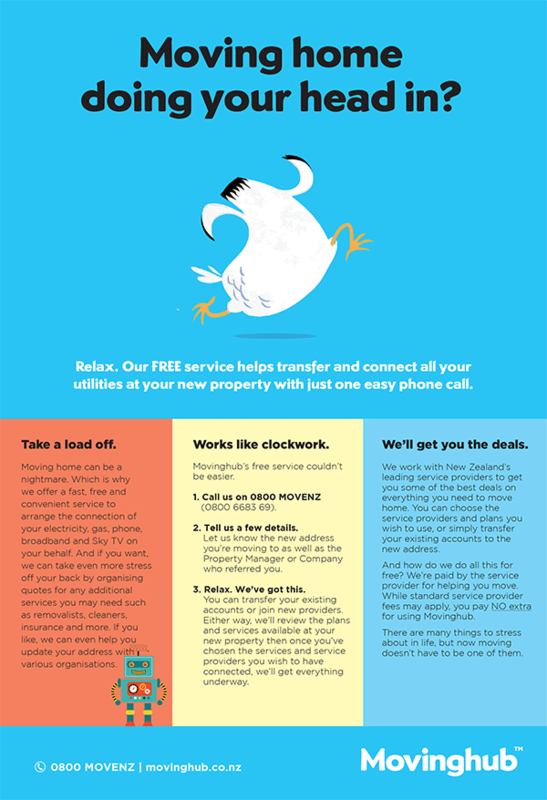 Let’s face it, moving home can be stressful which is why we’ve partnered with Movinghub to offer you a fast, free and convenient service to arrange the transfer and connection of all your utility services at your new property, in just one phone call. Get your electricity, gas, lpg bottles, phone/broadband and Sky connected all at once so it’s ready when you move in. And if you want, Movinghub can take even more stress off your back by organising quotes for any additional services such as removals, cleaners, insurance and more. You can choose to transfer your existing accounts or join new providers. Simply select the services you’re interested in and a friendly Mov-ol-o-gist will give you a call to discuss the services and plans available at your new address. What’s more – Movinghub’s service is FREE!